A ZTE-owned smart jewellery company has been showing off its range of connected rings, bracelets and necklaces, with the exquisite name of iCharming, at MWC 2016. 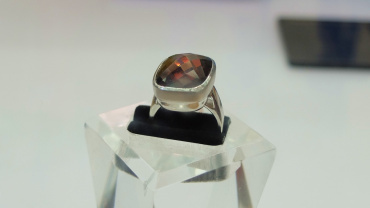 The Charm Ring was crowdfunded on China's Kickstarter equivalent JD.com last summer and raised over 1 million RMB ($100,000) from over 3,000 backers. 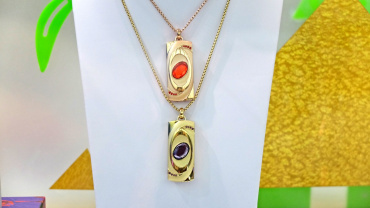 Now it's back and iCharming's CEO Catherine Shen is looking to take her blingy, fitness tracking smart jewels global. Features wise, it's a kind of Ringly on steroids. 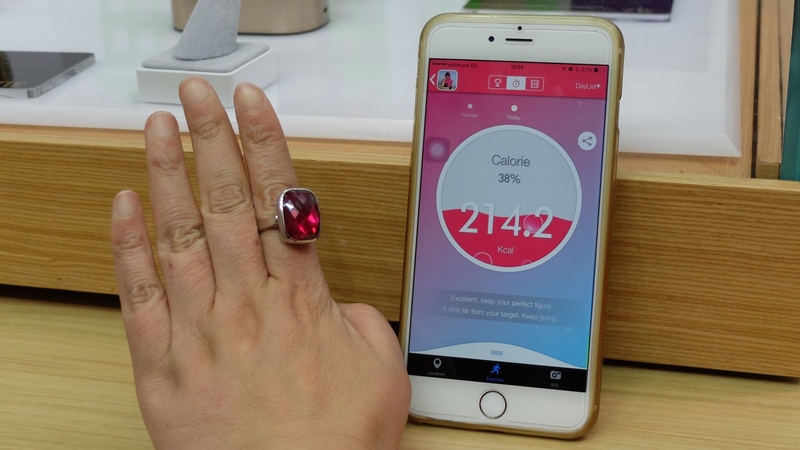 The Charm Ring tracks fitness - steps, distance, calories burned etc - via a three axis accelerometer, with goal setting, reminders and group leaderboards to motivate you as well as including an SOS feature which sends an alert and your location to an emergency contact, similar to the Halo smart bracelet we saw earlier this week. The gesture controlled, Bluetooth ring also allows you to set up actions such as shaking your hand to take a selfie on your smartphone which worked instantly in our demo. Plus there's LEDs which blink when you get a call, message or go out of range from your phone. 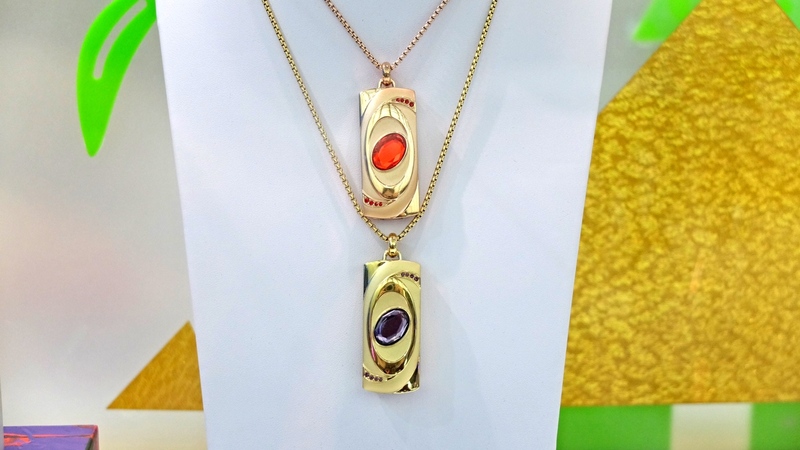 It works with iPhone and Android 4.3+, is made from zirconia and silver and comes in six gemstone colours - gold, brown, violet, rose, blue and navy. Battery life is a week. Now, the Charm Ring sold for the equivalent of about $130 in mid 2015 but will now be available to retailers for $150 so the final price will probably be more around the $200 mark. The iCharming range is actually a whole bunch of accessories, some classier looking than others, with cheaper smart bracelets and necklaces which will sell for $50 each to retailers. 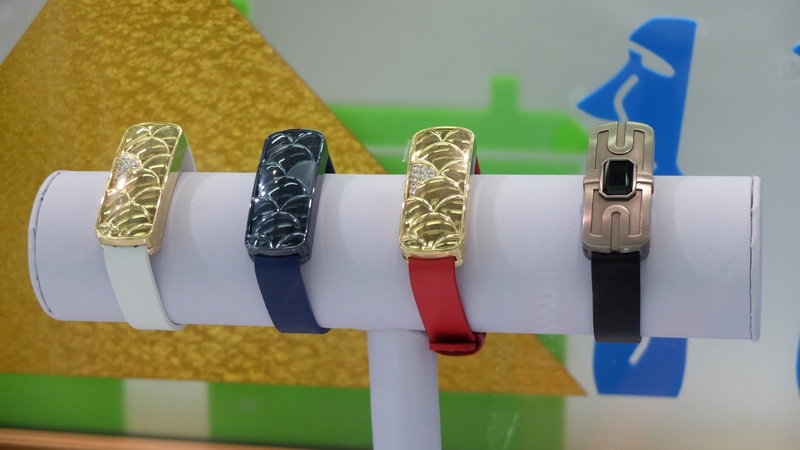 The smart bracelets handle fitness tracking and come with leather bands - the design of the main module is based on dragon scales. And the (ever so slightly tacky) activity tracking smart necklaces, which have a rose-themed design, have an impressive battery life of 15 days. 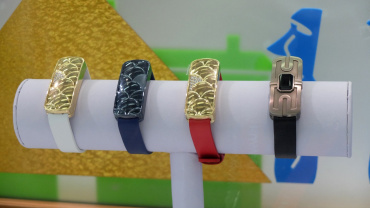 China is a really big market for wearable tech right now and it's good to see that's it's not all about smartwatches. Shen is looking to get her collection into stores so we should hear more later in 2016. For now, we have the words of iCharming's (possibly badly translated) brochure, "To be your own queen. Flower bloom and fade. Everything may change but love will forever."